With a history stretching back to 1819, AETNA is undisputedly one of the oldest, largest and most successful insurance providers in the USA. Today, AETNA is still one of the largest international insurers, protecting millions of customers around the world through its international health insurance arm known as AETNA Global Benefits (formerly known as GoodHealth). 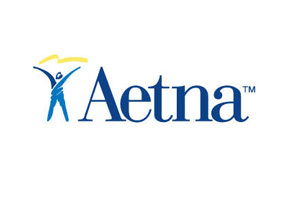 Thanks to AETNA's global approach to customer service; refusing to rely on one large world headquarters to funnel most information and claims service through a single location, AETNA has numerous local and regional offices to handle the needs of their customers in real time, often in the same country. This means that the claims agents are familiar with the healthcare circumstances that their insured are facing and they can provide exceptionally personalized service from over 700 global employees. Furthermore, thanks to perennially high income postings (in 2008 AETNA posted $31 billion [US] in corporate revenue) there is ample reason to be reassured that AETNA will be able to financially back all the coverage it offers. Malaysia Health Insurance's advisers have current details on medical insurance plans offered by AETNA in Malaysia. To reach us just fill in the information request to speak with an adviser at your convenience, or for faster help - click here to reach an adviser immediately.